Hello! 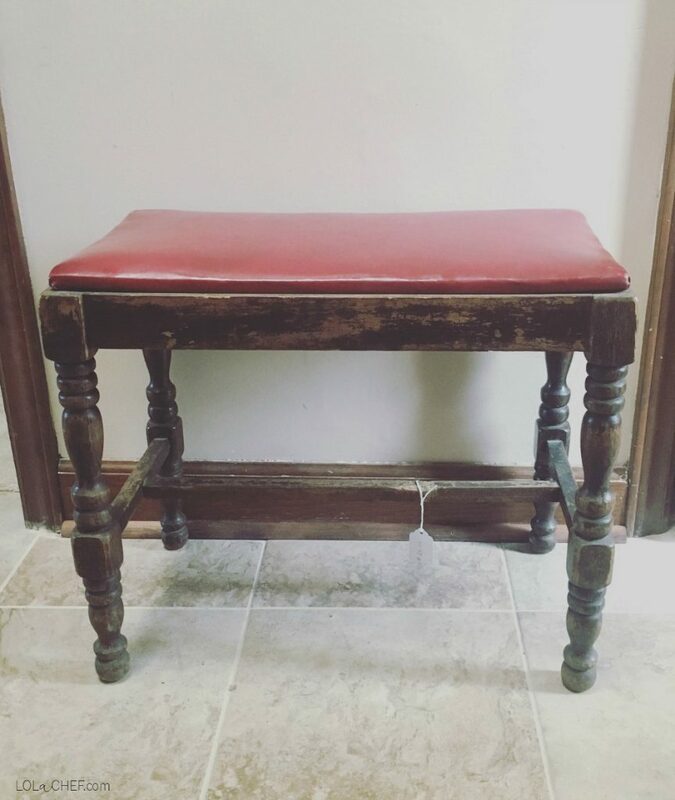 I met this met this well lived stool that was obviously love in need of major TLC for $25.00 at a local thrift store. 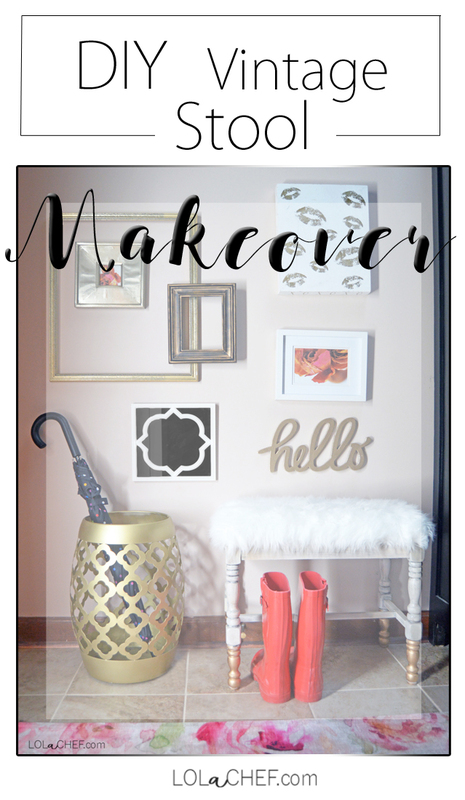 Naturally, I wanted to dress it up with a makeover. 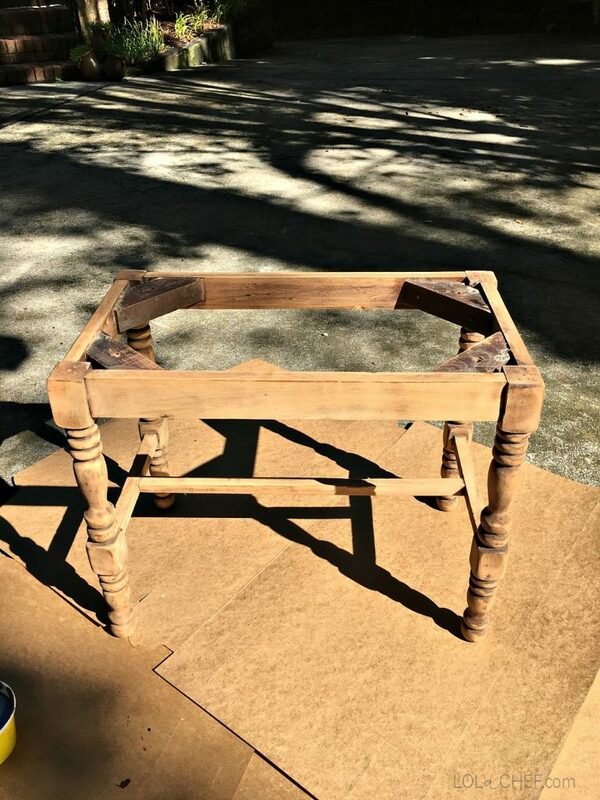 The vibe of this stool told me it wanted to look pretty again. I am slightly obsessed with the faux fur look right now, I instantly knew what I was going to do. I also knew that I wanted to add a touch of gold somewhere…..who says less is more?!? 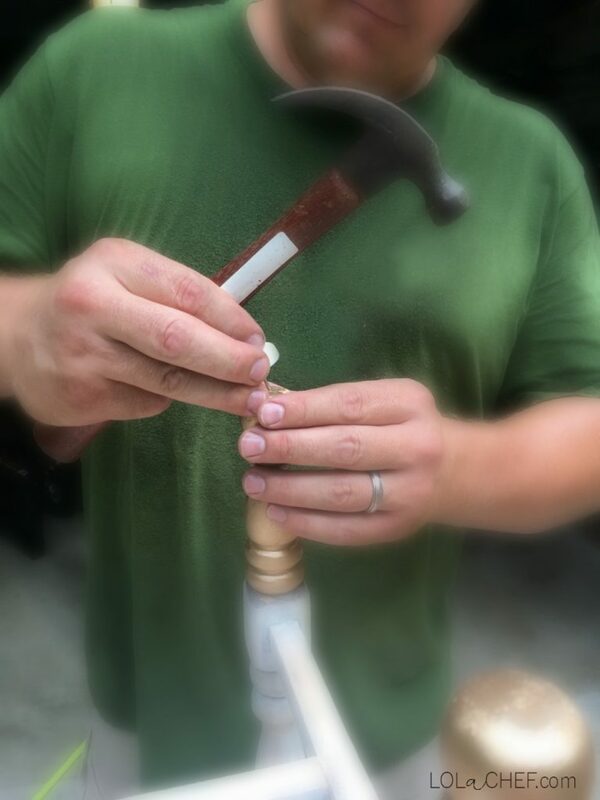 First things first, let’s take this apart and see what we have to work with. 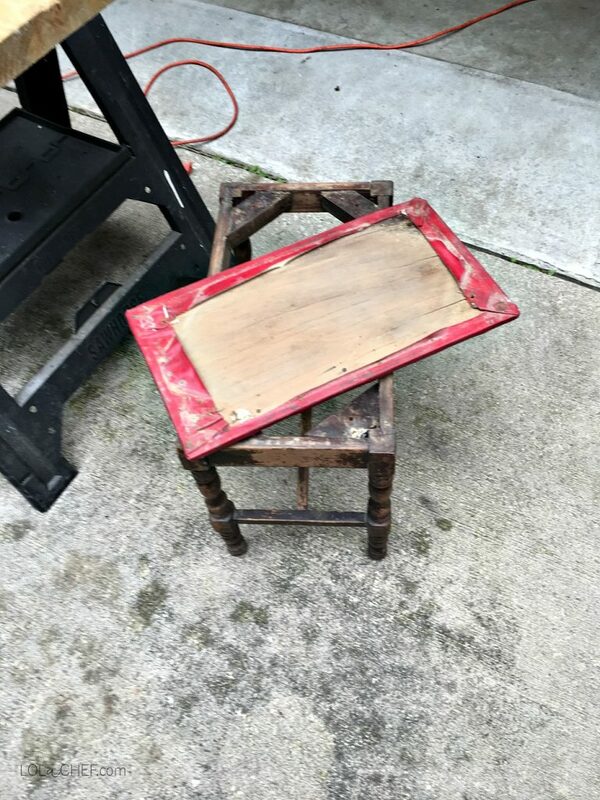 Okay, this stool has some good bones, but the top had to go. Too cracked and fragile. Now it’s time to sand the wood. When I sand projects I always use protective gear. I use a face mask and glasses to avoid inhaling particles and protective glasses so nothing flies in my eyes. I don’t have a fancy workshop, I just make sure I have a steady surface preferably outdoors to sand. 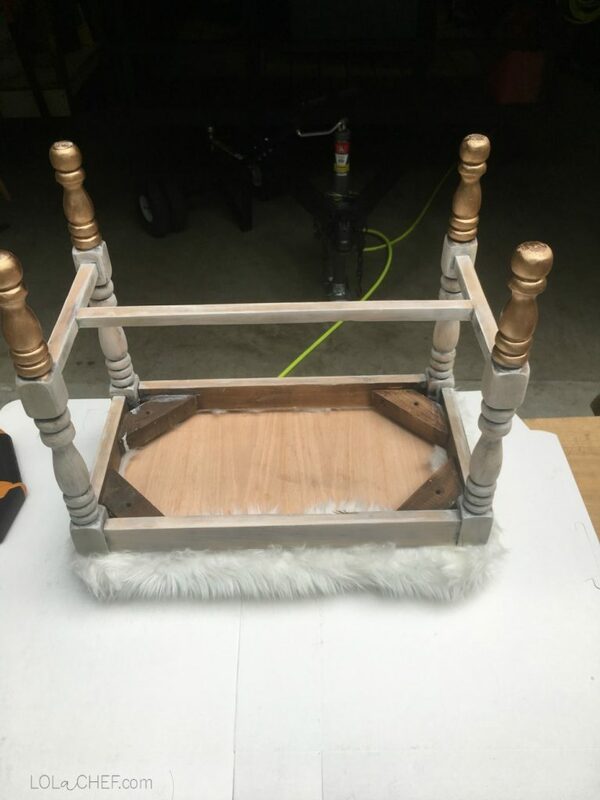 I used two portable support dollies and a thick piece of wood to create a flat area to place the piece on. A table is great, make sure your surface is stable and secure. This is some pretty wood! Although, some areas were so old the wood was green so I had some decision making to do about color. 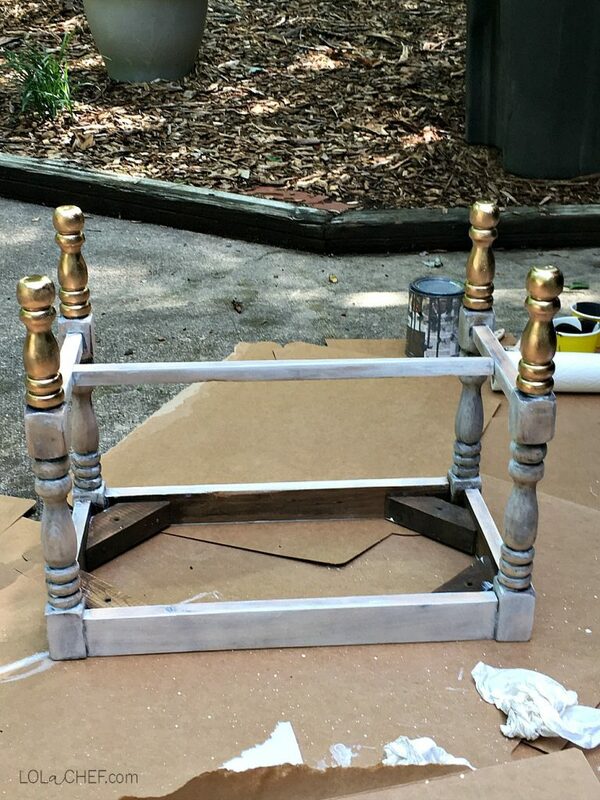 Originally I wanted to do a natural wood finish with a white wash over it. Since there were some iffy areas I did a thicker white wash. I wanted to paint the bottoms gold and of course add some faux fur. I am currently using boxes instead of a drop cloth, mainly because I have an extra shipment of damaged boxes I received and didn’t want to go to waste. I reuse them as many times as I can then trash them. I hate creating waste so when my supply is out, I will go back to using a reusable drop cloths. Don’t mind the grey can. 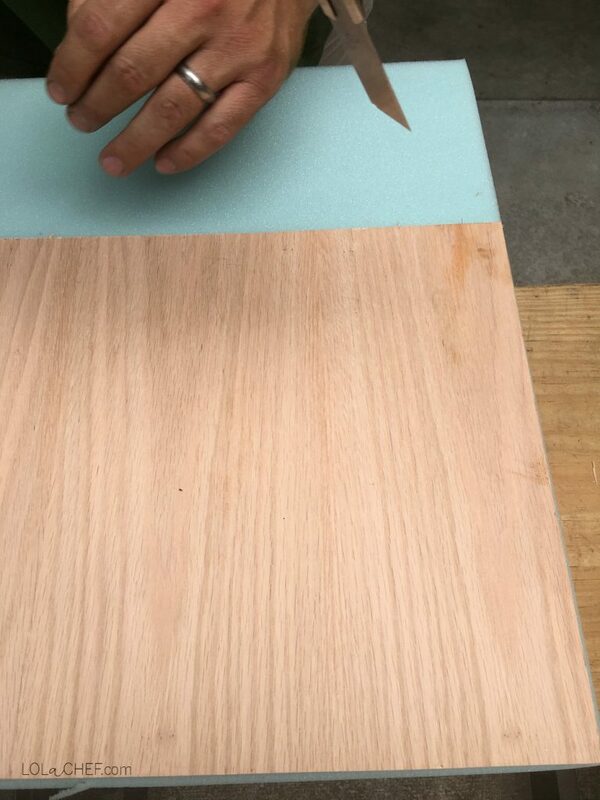 I was testing out wood samples for another project. 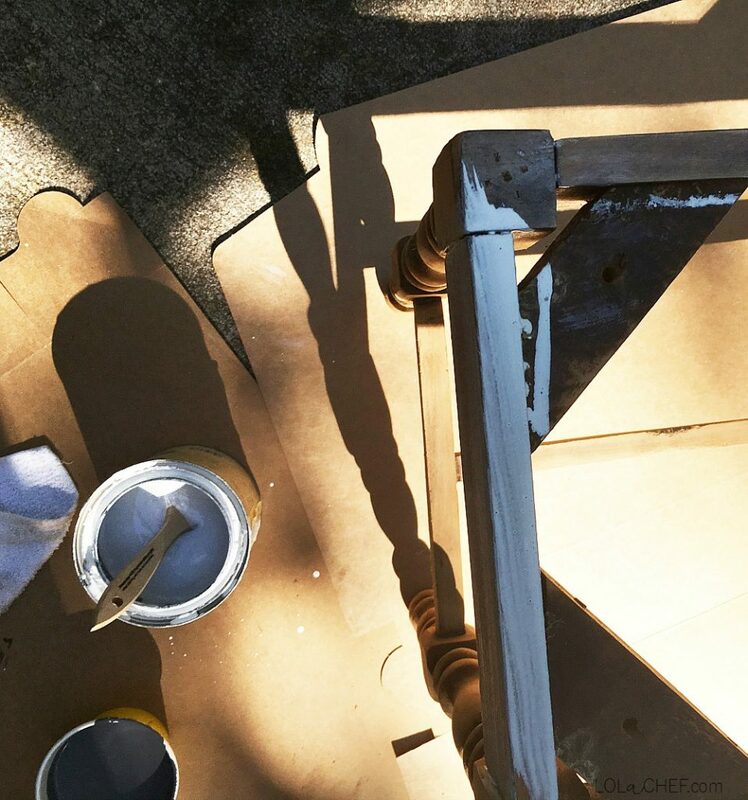 Sometimes with a thicker coat of a white wash you may notice a blueish tint. In this case I like it, It gave the legs an almost stone look. So I went with it. Once the color is to your liking let dry completely before next step. I let dry overnight. 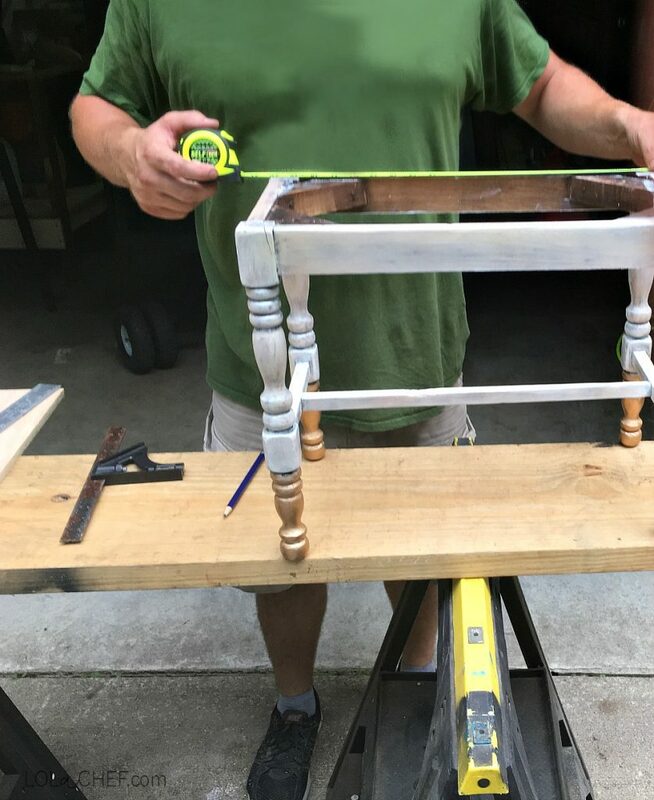 Next, I turned the stool upside down and covered the white wood with paper towels, because I didn’t have a drop towel. Then I used blue tape to section off where I wanted the gold paint to hit. 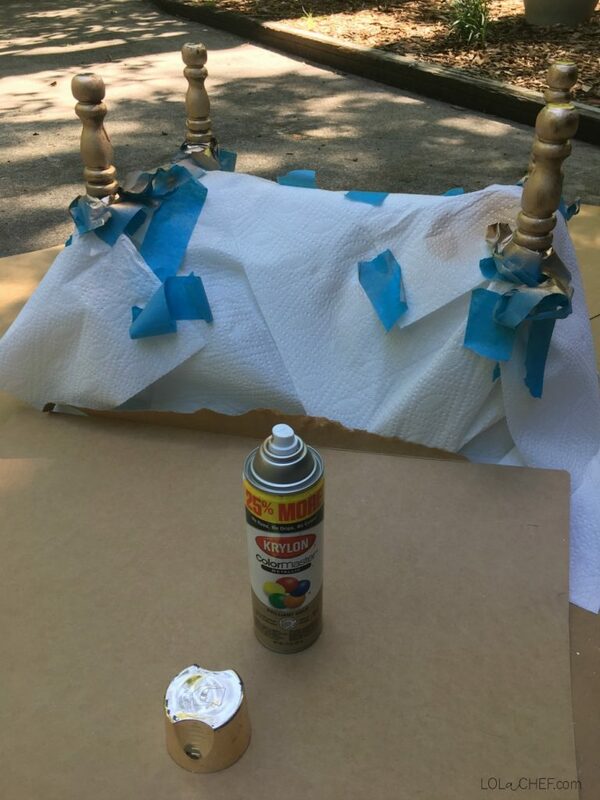 Then I painted the bottom of the legs gold with this gold spray paint. I applied three coats and was really happy with the gold this paint produced. Gold can be tricky, I tested out a few colors, they all came out different. I took a lot of sampling of colors before I found the one I liked. This is the gold I used. 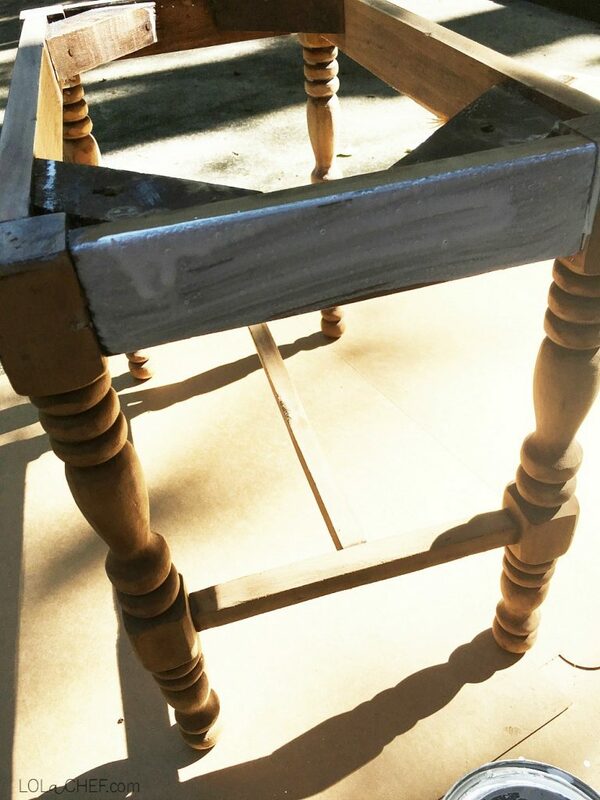 Once the whole stool was dry I applied a layer of protective polyurethane. Then it was time to make a seat. I got a large piece of wood at a local store that was the measurements I needed. 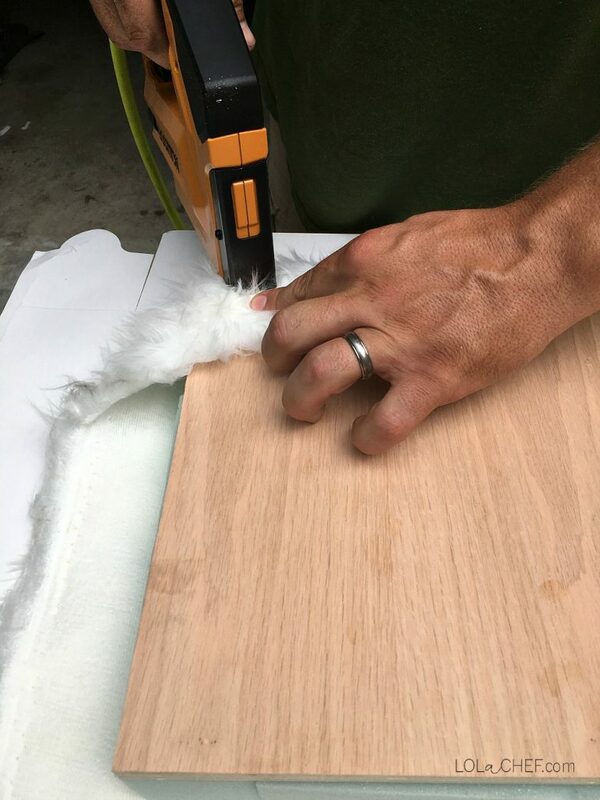 I then took 1″ poly foam and cut it to fit the edges of the wood. You can use a 2 or 3 inch but since the fabric I am using is thick and fluffy the 1 inch worked great. Next, I cut the fabric large enough to wrap around the edges and staple underneath. I carefully stapled the fabric on the bottom of the wood with a staple gun. The last step I took was to put tabs on underneath the legs. 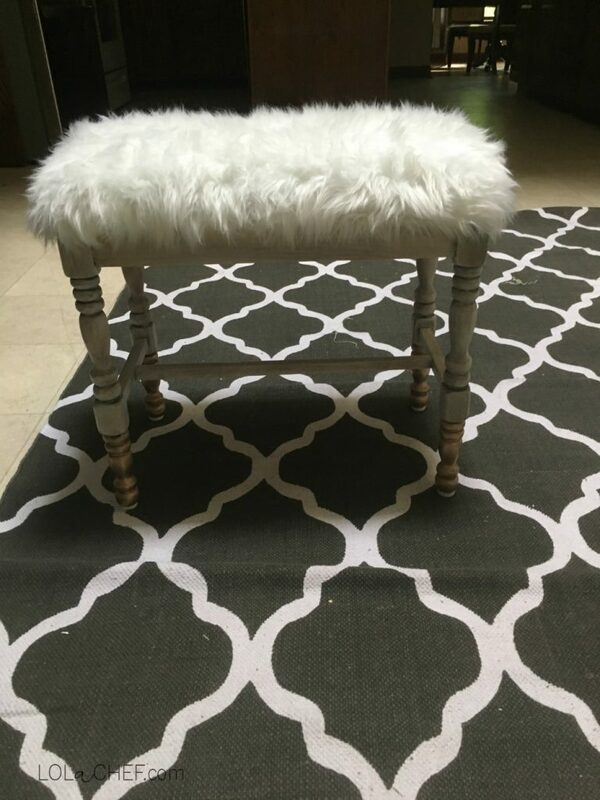 This will prevent scratching the floors and the bottoms of the painted stool legs. Once they were attached I simply painted the edges to match the rest of the gold portion of the legs. I left the underneath bare so to prevent scraping paint on the floors. I tacked these Plastic Pad Protectors onto the bottoms of the legs. This is going right next to my armoire which just went through it’s own facelift! I liked it so much I decorated around it and improved the entrance of my house. 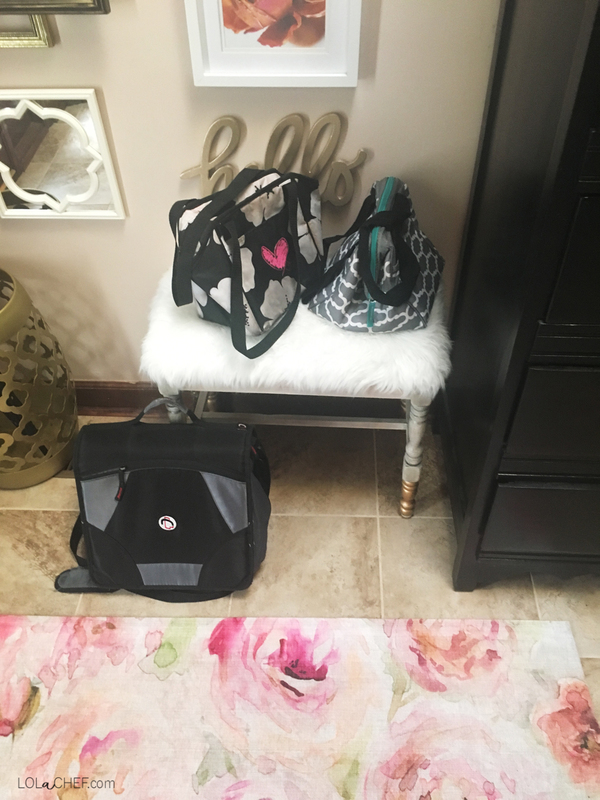 Of course my kids grab their lunch boxes in style…who doesn’t?! ?